In this second part of our “Training the Apprentice” series on grinders and their various accessories, we’ll be looking at the physical, as well as applicational differences between grinding wheels and flap discs. In the first part, we looked at grinders and their various accessories and applications. This article will take a more detailed approach to two of the more common grinder options to see which one will work best for you. At some point, you might find yourself in the hardware store, knowing that there’s some grinding work ahead of you. Maybe you’ve got some welding beads to knock down and smooth out. Maybe the job ahead is sharpening mower blades. Or, you might be doing some woodworking and need to bevel some edges. Maybe the paint job on your car has seen more glorious days, and you’ve got some rust and paint removal ahead of you. So, you find yourself looking down the aisle at your available grinding attachment options. Where do you start? 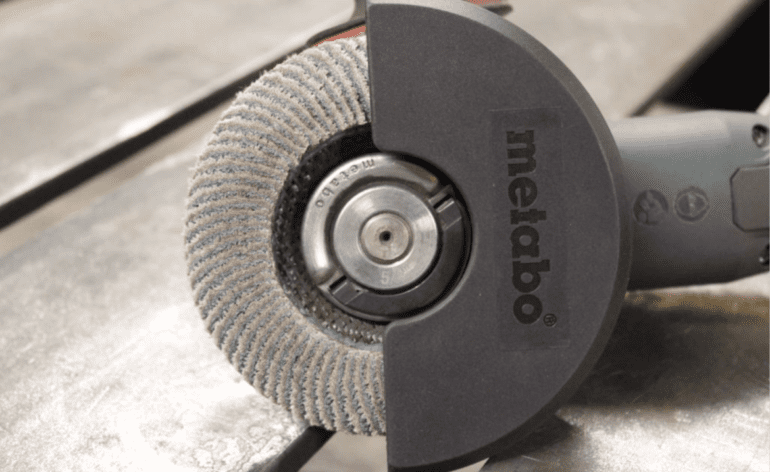 Considering the materials you’re working on, let’s say you narrow your options down to two: hard grinding wheels and flap discs. 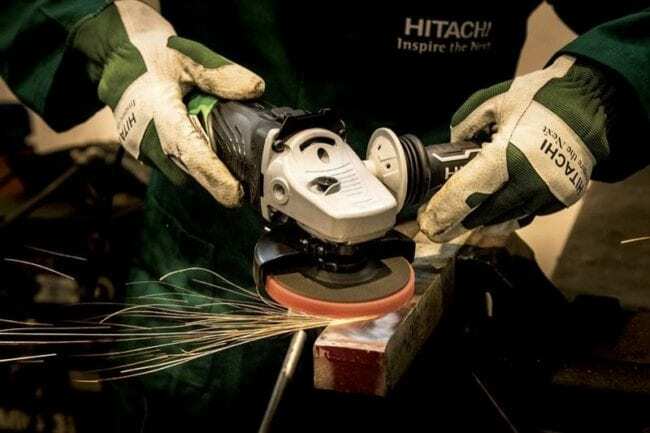 Both options have similar functions; they both are abrasive cutting tools that consist of thousands of sharp grains and a bonding agent to hold all the grains together. Both spin at a high RPM, moving against the workpiece to cut away little chips of material. They both work, to some degree or another, for stock removal, grinding, sanding, and finishing applications. Both can be used on a variety of materials, though typically they find the most use with wood and metal. But which works best? Is there a clearly preferable option for your particular application? The simplest answer is yes, there is. The answer might even be more definitive than you’d think. So, let’s look at some of the options, so you can inform yourself without having to spend a bunch of time tracking down the sales associate. Aluminum oxide is the most common abrasive for the grinding wheel. Zirconia alumina is another common and durable abrasive. Both generally work well for steel and steel alloy applications. Silicon carbide wheels cut non-ferrous materials, like stone, brass, soft bronze, and rubber. There are other abrasive options as well, but these represent the most typical. The bond is the material that holds the grains together and offers support so that the grains can cut effectively. Like the grains, the bonding agent wears away over time to expose new sharp grains. Conventional grinding wheels typically use one of three types of bonding agents. Most employ vitrified bonds, which consist of a mixture of clays that have been fired to form a type of glass that holds the grains together. Vitrified bonds tend to be hard, but brittle, and wear down through grinding pressure. They can work through water, acids, and oils, and they don’t lose efficiency because of temperature changes. Resinoid bonds, made from synthetic resin, soften under friction heat, and they can operate at higher speeds. They typically get used for applications that call for a better, finer finish. Rubber bonds provide even better finishing, but may only be ideal for smaller areas of stock removal or pieces that require a high-quality finish. A general rule of thumb for selecting a grinding wheel is that hard, brittle materials require a fine grit and softer bonds. Sure, using a finer grit seems counter-intuitive, but it actually cuts faster, as there become sharper grains more readily available as the bonding material wears away more quickly. Coarser grit and a harder grade bond will penetrate better with softer material, providing heavier cuts. Of course, the amount of stock material to be removed should also be considered. Flap discs are made from overlapping pieces of sandpaper which attach to the central hub. They work well for a variety of applications because they excel at grinding, blending and finishing. They are also lightweight and maneuverable. Many users prefer the flap discs over grinding wheels because of the lower vibration and noise levels. They also offer cooler cutting temperatures and less scratching than grinding wheels. They come in a couple different shapes, conical and flat. The angled flaps in a conical flap disc offer a bigger surface area for stock removal on horizontal surfaces. They tend to work better for contoured surfaces and edge working as well. Flat flap discs work best for blending and finishing applications. They generally offer more stability, as they are mounted to a backing plate for support. Like grinding wheels, flap discs offer a variety of different coarseness ratings and densities, as well as different grit materials. As a matter of fact, the grain materials listed in the section on grinding wheels could just as well be copy and pasted here; the information is basically the same. And, like the grinding wheels, use lower grit numbers for the coarser grinding and higher grit counts for the finishing work. However, unlike the grinding wheels, flap discs will need to be mounted to a backing plate. Where the bonding agent offered cutting support for the grinding wheels, backing plates offer support for flap discs. You have a couple of options here. Use metal backing plates for stone and concrete applications. Fiberglass and plastic backing plates work well with most metal and wood applications. As always, be mindful not to go over the recommended wheel speed suggested by the wheel manufacturer. Breakage can happen if you’re not careful, and the last thing you probably need is half of a 30-grit, vitrified wheel thrown through your eyeball. Hopefully, you have the good sense to wear eye and face protection as well, but why not take every precaution anyway, right? So, back to the original question: between hard grinding wheels and flap discs, which grinding option is right for you? While researching this topic, both online and through talking to professional welders, shop owners, and woodworkers, there seems to be an almost overwhelming consensus. Of the two options, flap discs are generally better at everything. There are a few advantages to the grinding wheel, but only a few, and in very specific instances. Say, for instance, you’ve got a large piece of sheet metal that needs cleaning up. Maybe it doesn’t need to look great, just free of crud. 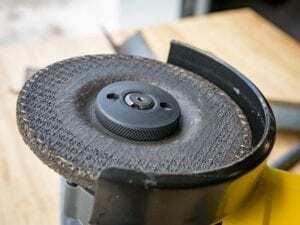 A grinding wheel might be your best bet, as they tend to run cheaper than a flap disc, and they tend to be more durable. There also might be some merit to using the grinding wheel in tight corners. Grinding down some welding in a corner might be easier accomplished with the firmer edge of a grinding wheel, but it will likely gouge at the metal, and it won’t look as finished as using a flap disc would. If you care at all about aesthetics, and if spending a couple dollars more doesn’t bother you that much, flap discs do seem like the go-to option for many professionals. It almost seems as if the flap disc has, by and large, replaced the standard grinding wheel in almost every application. They tend to leave a better finish, and they accomplish the task more quickly than the grinding wheel will. They do tend to be more expensive, and they generally wear out more quickly than hard grinding wheels. But, if you buy in bulk from the right places, some of those costs can be mitigated and you’ll wind up with a cleaner looking end product.